We've been looking at the Purpose Driven Life by Rick Warren, both in our Sunday messages, and in a Tuesday Book Study. It's been going very well, and I wanted to share some things from the book over the next couple of days. The first purpose we have is that we are planned for God's pleasure. Our purpose is to make God happy, and essentially, since God made us to love us, then loving Him back makes Him happy. Rick Warren looked at the life of Noah to see what Noah did that made God happy, after all, Genesis 6:8 says, "But Noah found favor in the eyes of the Lord." What was it that Noah did that caused God to find favor with him? What was it that Noah did that made God smile? Rick Warren suggests five things, five acts of worship that make God smile. God smiles when we love him supremely. Noah loved God more than anything else in the world, even when no one else did! The Bible tells us that for his entire life, "Noah consistently followed God's will and enjoyed a close relationship with Him" (Genesis 6:9). 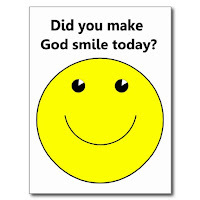 God smiles when we obey him wholeheartedly. Saving the animal population from a worldwide flood required great attention to logistics and details. Everything had to be done just as God had prescribed it. God didn't say, "Build any old boat you'd like, Noah." He gave very detailed instructions as to the size, shape, and materials of the ark as well as the different numbers of animals to be brought on board. The Bible tells us Noah's response: "So Noah did everything exactly as God had commanded him" (Genesis 6:22). God smiles when we praise and thank him continually. Few things feel better than receiving heartfelt praise and appreciation from someone else. God loves it, too. He smiles when we express our adoration and gratitude to him. God smiles when we use our abilities. After the flood, God gave Noah these three simple instructions: "Be fruitful and increase in number and fill the earth... Everything that lives and moves will be food for you. Just as I gave you the green plants, I know give you everything" (Genesis 9:1,3). God enjoys watching every detail of your life, whether you are working playing, resting, or eating. You don't bring glory or pleasure to God by hiding your abilities or trying to be someone else. So how about you? 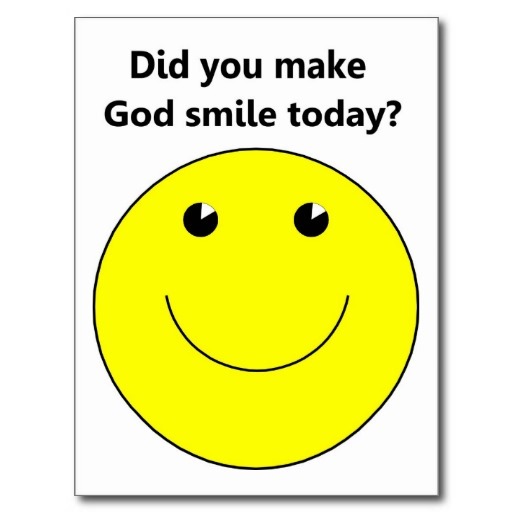 Are you making God smile? It's one of your primary purposes for being alive. This past Sunday we looked at the 3rd purpose of our life from Rick Warren's Purpose Driven Life – You were Created to Become Like Christ. God’s plan has always been to make you like Jesus Christ. Once you are in God’s family He wants you to take on the family likeness. He wants you to become like His Son – like Father, like son. You’ll never be a god. But God does want you to become godly. 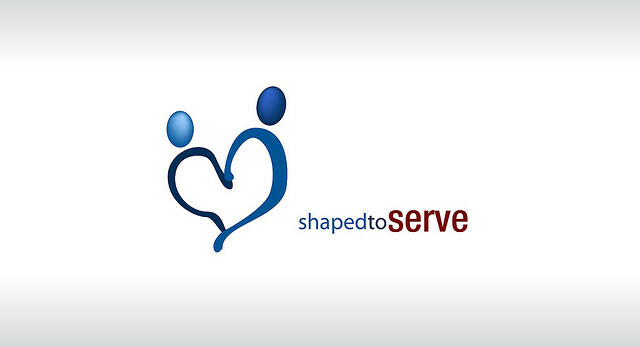 The process of becoming like Christ is called discipleship. It's a life long process in the life of a believer. And it's an important process. This life is just a preparation for the next life, in heaven, with God. God's purpose is to prepare us for that life. 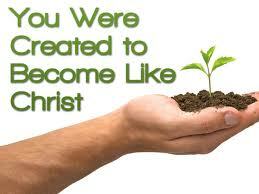 He does that by slowly changing us to become more and more like Jesus. We even talk about some of the ways God builds us and grows us into the image of Christ. If you want to see the message now, click here. There's even an audio link if you would rather listen to it!